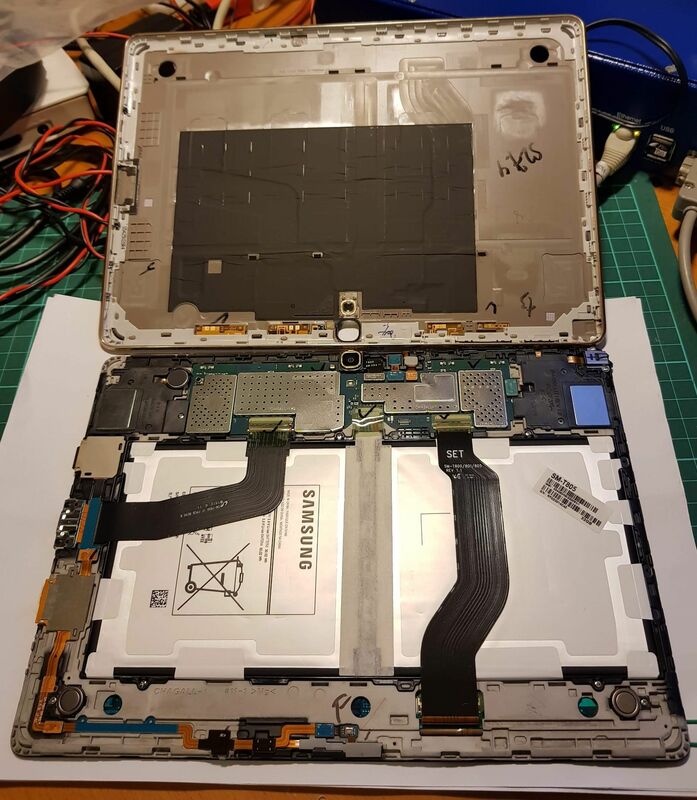 Samsung Tab S 10.5 Battery Replacement | Life, The Universe and ... Everything! It uses micro-sim cards, and my phone uses nano-sim cards. So they can't be swapped around. It's slow. I've replaced the OS with LineageOS which has helped a bit. It'll cost me around MYR 4000 for the tab S4. I'll buy if I need to, but it's a lot of money, especially if the Tab S can be repaired. Samsung is boasting that the Tab S4 display, being a 16:10 2650x1600, is better than the S2 and S3. Yes, but that's also the spec of the screen on the Tab S, that preceded all of them. The keyboard case on the Tab S4 doesn't come close to the convenience and flexibility of the Tab S keyboard case. On the Tab S the case forms a hard cover for the display when carrying the tablet around, but also detaches freely from the tablet so you can use the tablet ... well as a tablet. No extra weight or bulk. The specs of the S4 are a bit meh given the price of the upgrade. I'm not really a S-Pen user. I've had the Note series phones and tablet, and hardly used it. 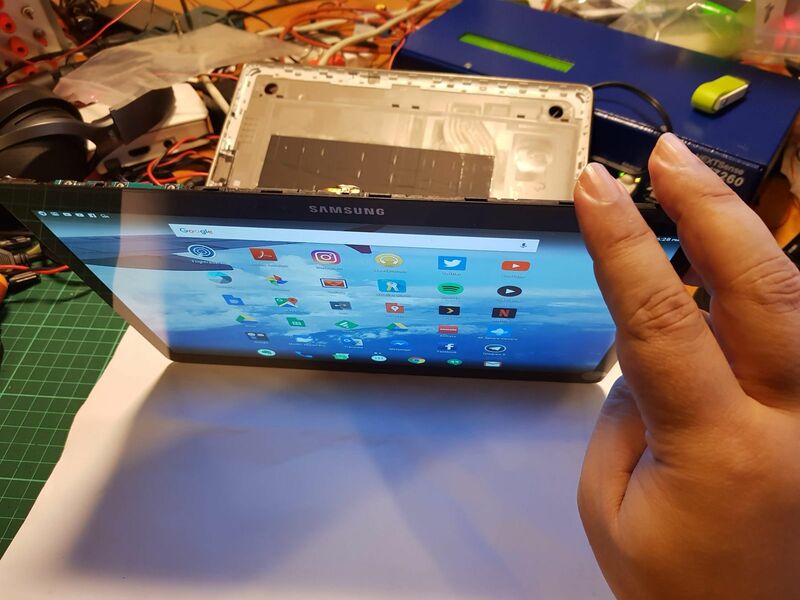 I'm quite skeptical of the benefits of having a glass backed tablet. 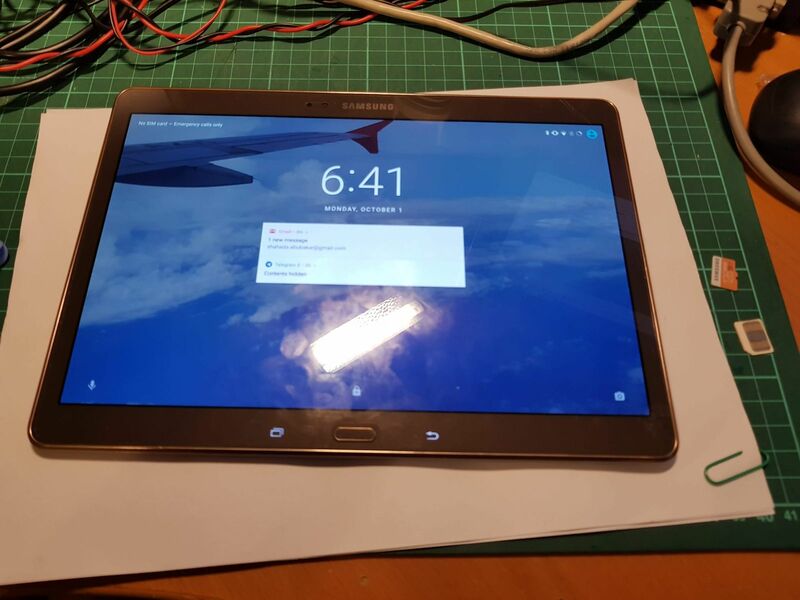 I didn't want to charge my Tab S in its current state so I let it discharge and laid off using it. During this period I realised the times I missed having it around the most was for watching Youtube while lazing on the sofa or bed. Hardly a reason to spend all that money right? 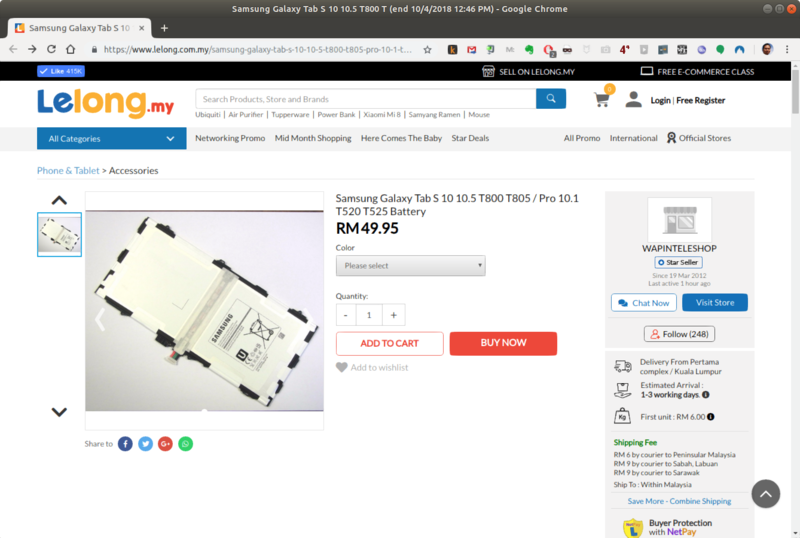 So I ordered a replacement Tab S 10.5 battery from seller wapintelshop on lelong.com.my for MYR 49.95 + MRY6 shipping (USD 13.51), which arrived within a few days. I watched two videos (here and here) on how to open the tablet. The first video opened the unit from the front, and the second opened it from the back. I ended up going from the front, as on the front there is glass against plastic, as opposed to plastic against plastic, and I figured having the harder surface to push against would be easier. My spudger was quite blunt (I recall buying a new set, but as with most things, have no idea where they are today), so it was a bit scary getting the clips opened. But going around the tablet slowly. focusing on the centers of the frame before the corners, I managed to pry open all the clips that held the glass panel. The video was useful as otherwise I would not have known which way to push the tab on the ribbon cable and would have probably broken it (they lift upwards), as can be seen at 2:18 of the video below. The same goes for the power connector. Once the cables were off replacing the battery was a straightfoward matter. It did seem to be about half a millimeter off in size ... maybe the old battery slowly expanding has stretched things in my tablet a bit? Just a guess. I did manage to get the screws to hold the battery down eventually so I believe it should be fine. Display ok, touch screen working too. Putting the case back on again was a bit harder than taking it off. I put the top part in first, as I wanted to make sure the switches were aligned properly and fit ok. It turned out my microSD card was also sticking out, blocking the frame from sealing properly. I ended up opening it again, removing the microSD and SIM card, and then snapping the clips back in place again. And the end result is ... the tablet is good to go! It also sits flat on the table now.